Montreal, Quebec (September 27, 2018) – D-BOX Technologies Inc., a world leader in immersive entertainment experiences, is celebrating the recent installation of new D-BOX motion seats in several venues across Germany reaching a new milestone of over 100 screens. The very first D-BOX screen was installed in the city of Mulheim in 2011 making the country one of the very first adopters of the motion technology. 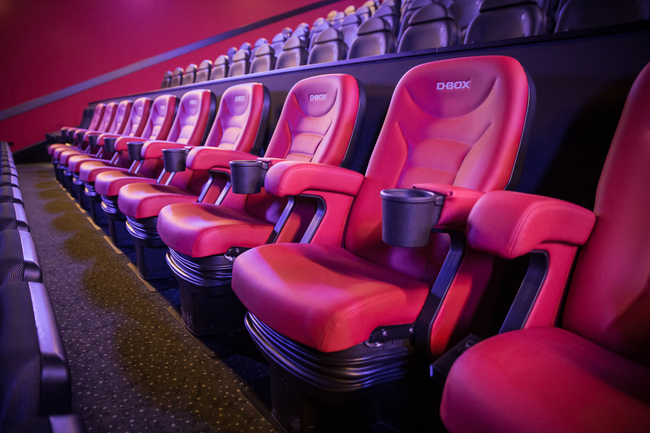 Not surprisingly, its popularity in Germany has grown over the years to a point where the country has earned the envious distinction of having the most D-BOX seats in Europe. The popularity of online streaming services and the competitive nature of the theatrical industry has forced more exhibitors to seek out exciting new ways to attract customers and build business. D-BOX redefines and creates hyper-realistic, immersive entertainment experiences by moving the body and sparking the imagination through motion. This expertise is one of the reasons why D-BOX has collaborated with some of the best companies in the world to deliver new ways to enhance great stories. Whether it’s movies, video games, virtual reality applications, themed entertainment or professional simulation, D-BOX will make sure, you feel it all.